Recently I ran into a problem where by I had to give out RSS of the Forum only from a DRUPAL 5 site, as the website was forum centered but it had blogs also. So when I first used the default rss.xml like (http://somesite.com/rss.xml) it gave out all the update not only the updated of the Forum that I wanted. I even tried another RSS source http://somesite.com/forum/rss.xml but it also had the same output. So problem is: giving out RSS of Forum only, how to do that? 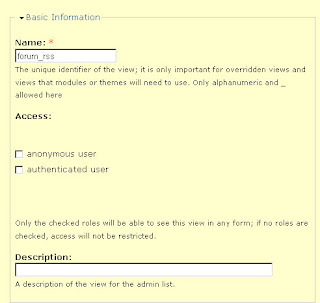 Assumed you have views installed, login as the adminstrator (user1) or user with access to edit views. 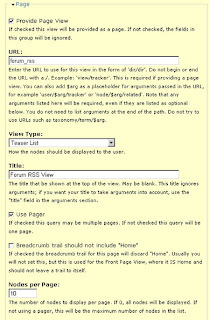 Type the name of the view, I gave forum_rss, and specify access if you want to or give a description. In the page section choose something like below, give url it’ll be yoursite.com/forum_rss. Skip the header, footer, empty text, menu and block sections. The main step to get the RSS feed is here in the “Arguments” section, choose “RSS: RSS feed selector and click “Add Argument”, then specify “Display all Values” and your feed’s title as below. 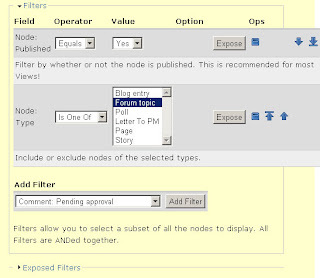 Use following filter in the filters section, I’ve used content type “Forum” and other needed filters. 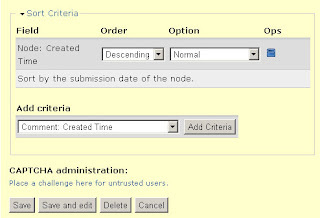 Select a sort criteria like below (new items first) then click save. Go to the new view page create and get your RSS feed’s URL. 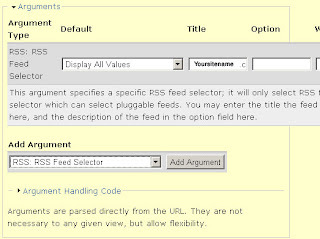 The main trick lies in “Arguments” segment, when you add an argument choose “RSS: RSS Feed Selector” and display all values in default when it is added. you can get your custom RSS feed at http://somesite.com/page_view_url/feed. Giving out RSS of selective content type like blogs, forum or even you own CCK made content type. 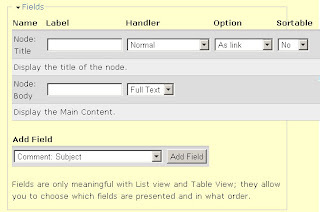 Giving out custom RSS of some vocabulary (tag) or any view customizable content like RSS of content tagged with Drupal. There can be numerous possibilities with RSS of views. I got my problem solved hope you also benefit from it.